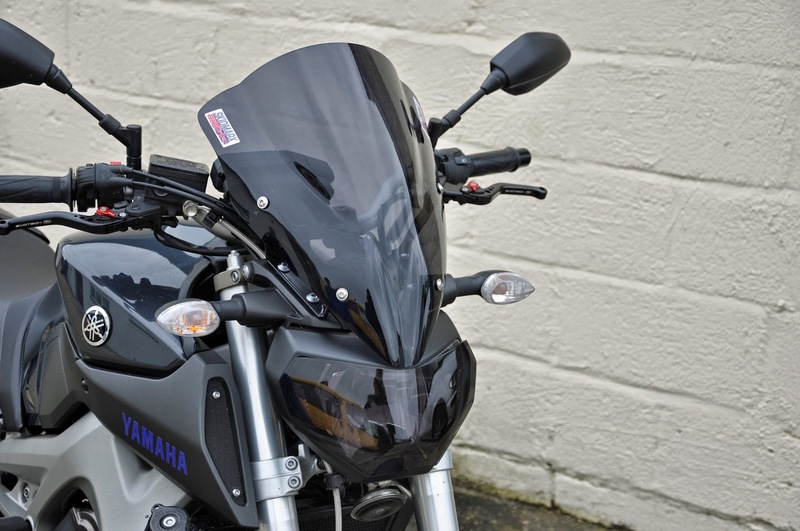 The list of aftermarket parts continues to grow for Yamaha’s latest triple engined MT-09 and UK firm Skidmarx have joined the fray with some bodywork essentials. Based on the company’s race-derived double bubbles, the fly screen kit attaches to the cowl above the headlight and is supplied complete with fittings. Manufactured in the UK from tough 3mm acrylic sheet, the screen comes in a choice of clear, solid black and light or dark tints, selling for £79.95 including VAT. 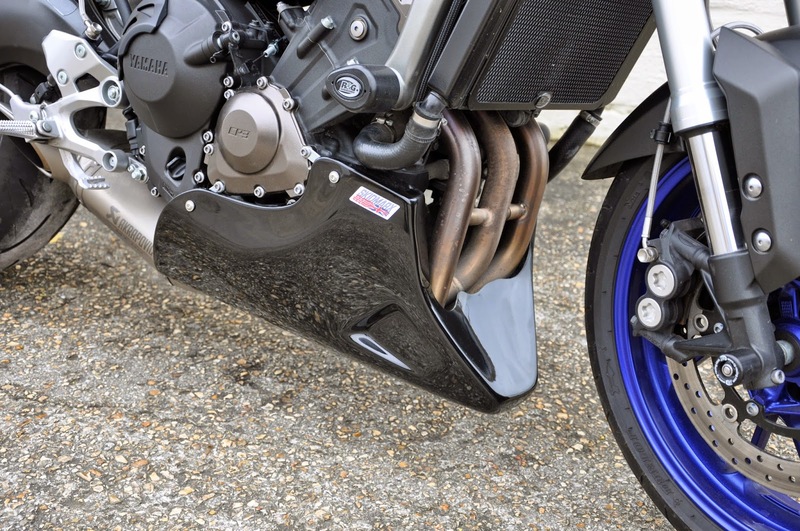 Designed to follow the contours of the three cylinder motor and shield the engine and down pipes from dirt and dust thrown up from the road, the sports belly pan is produced from GRP, with a gel coat finish in black, red, blue or white. Priced at £79.95 it comes with a tailored fitting kit. 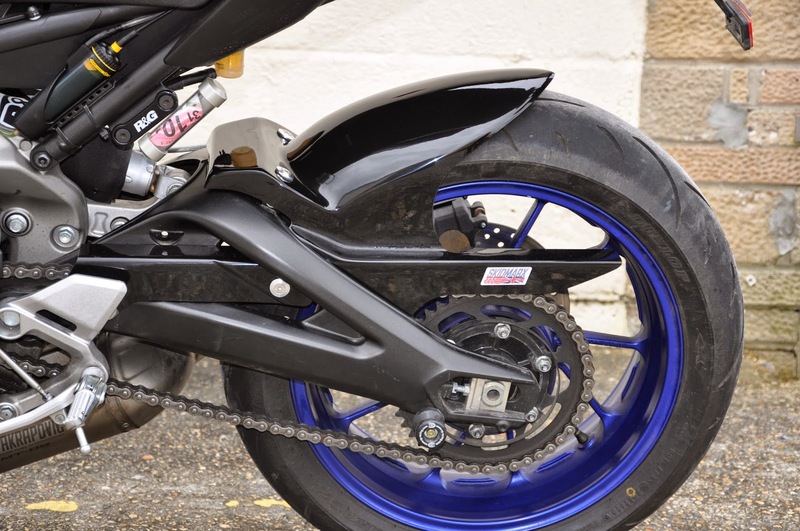 Skidmarx rear huggers are made from carbon fibre or GRP, with a black, red, blue or white gel coat finish. Both have an integral chain guard and bike-specific fittings. The GRP option sells for £79.95 and carbon fibre costs £139.95. Call Skidmarx on O13O5 78O8O8 or visit www.skidmarx.co.uk for more information.